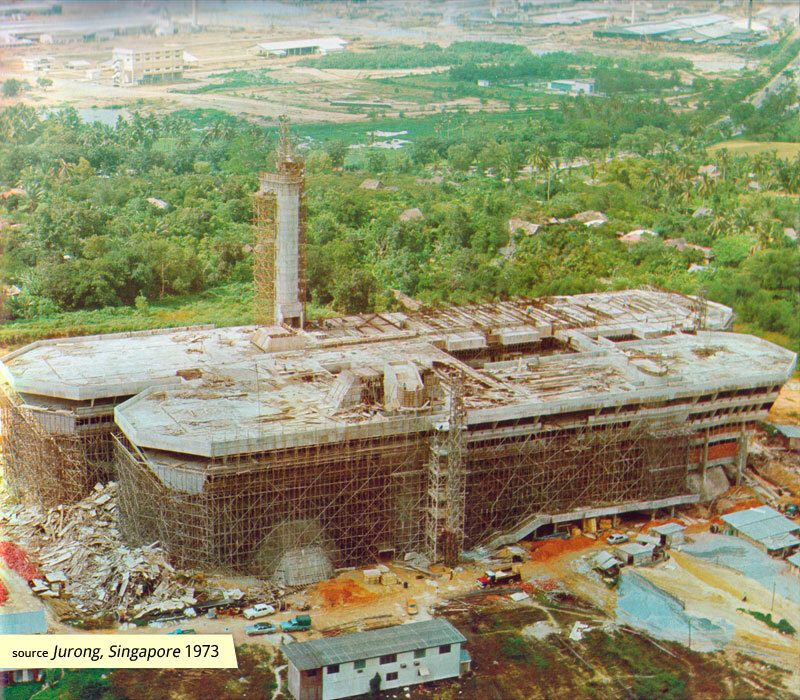 A landmark that is symbolic of the nation’s industrialisation, Jurong Town Hall was the administrative headquarters of the Jurong Town Corporation. 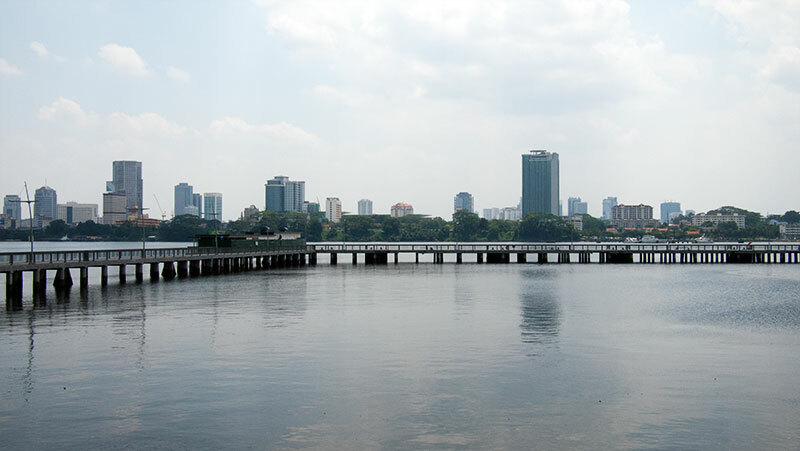 The transformation of Jurong into the thriving industrial complex and new town it is today…is evidence of the correctness of the policy the Government initiated more than a decade ago. It is heartening to note that as the Jurong Town Corporation enters its 8th year of operation, Jurong Town itself has become the landmark of our industrialisation efforts. 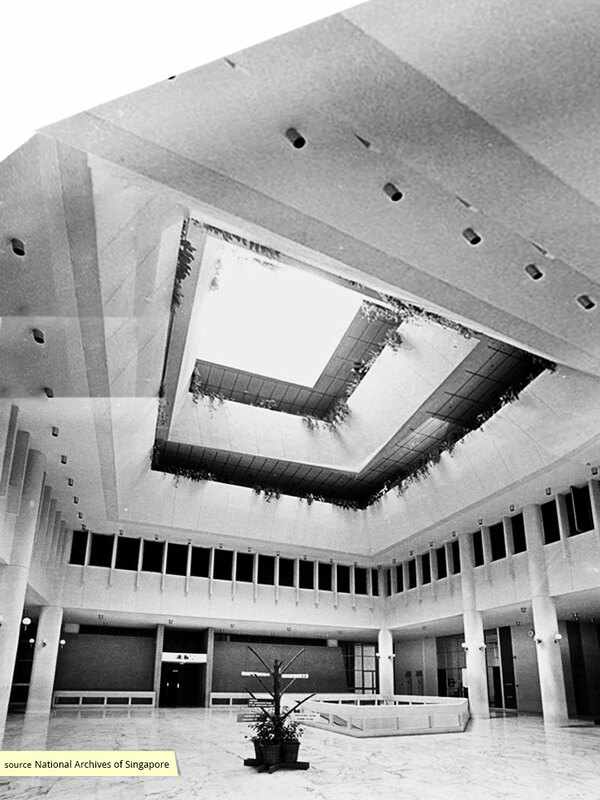 The Jurong Town Hall is symbolic of the creation of Jurong into a booming self-contained industrial new town. 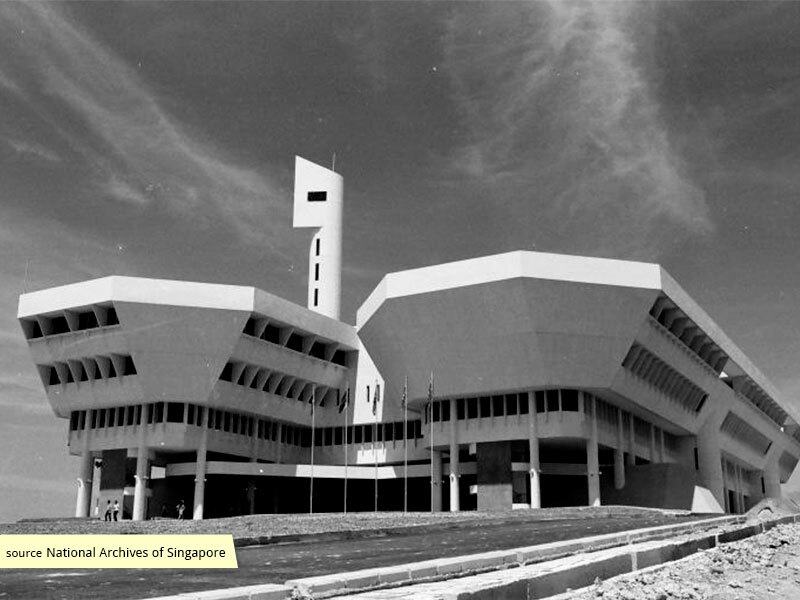 -Speech by then Minister for Finance, Mr Hon Sui Sen, at the Official Opening Ceremony of the Jurong Town Hall on 2 June 1975. 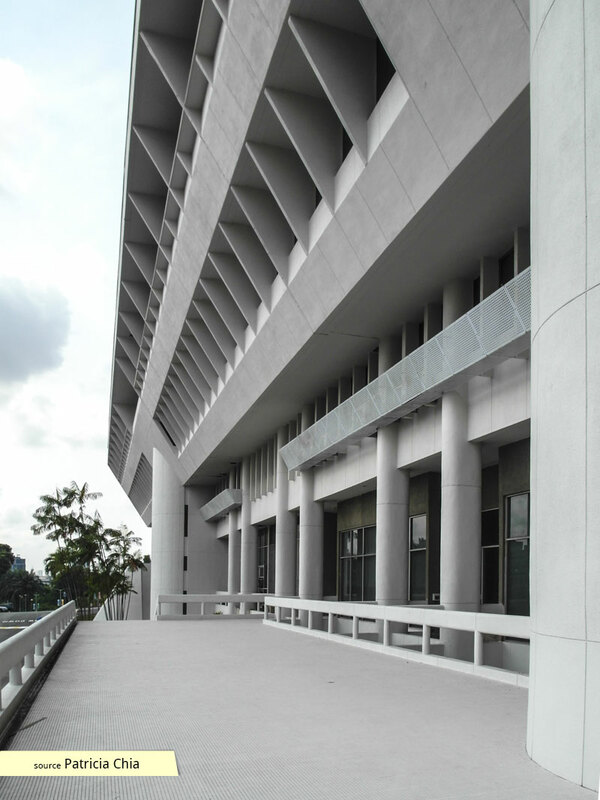 A landmark that is symbolic of the nation’s industrialisation, Jurong Town Hall was the administrative headquarters of the Jurong Town Corporation (JTC). Counter to what its name may intuitively suggest, its name titles it as the “Hall” of “Jurong Town”, rather than the “Town Hall” of “Jurong”. 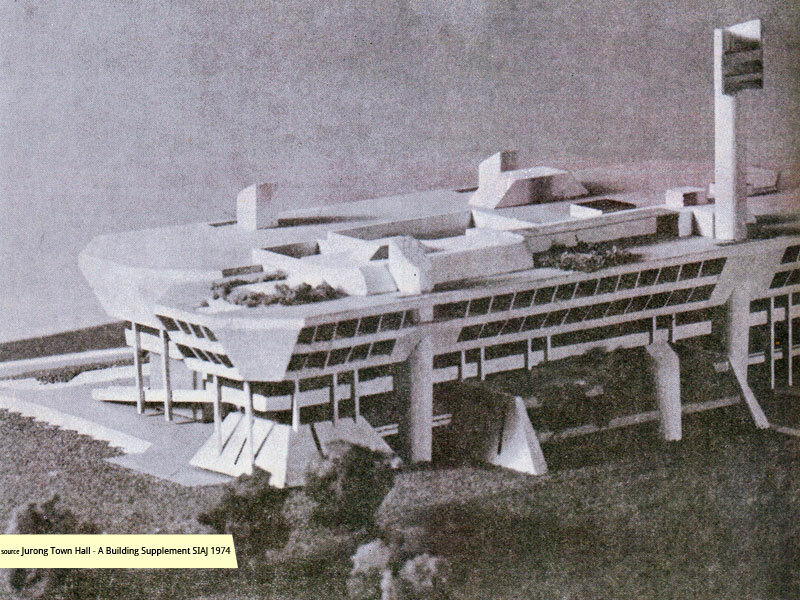 Jurong Town Hall's design is the winning entry of an architectural design competition conducted in 1968 that was awarded to Architects Team 3. 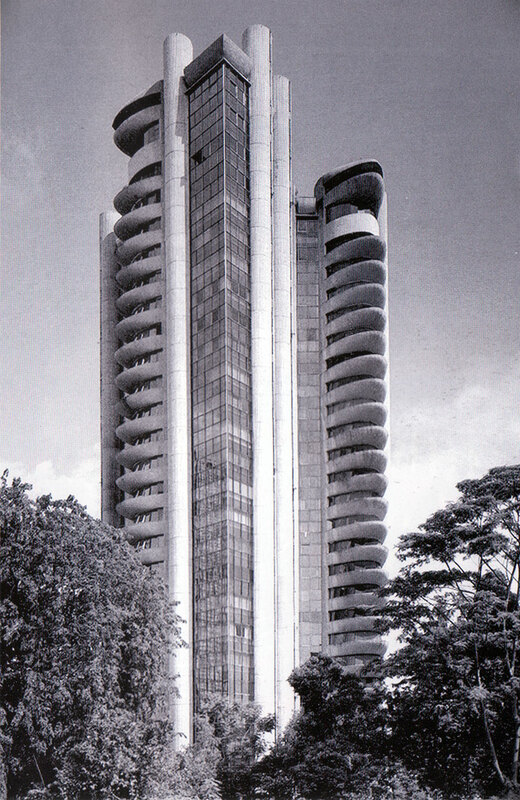 It is interesting to note that architect Mr Lim Chong Keat was a key member on this team; he was also on the winning Malayan Architects Co-Partnership team for the design of the Singapore Conference Hall & Trade Union House. 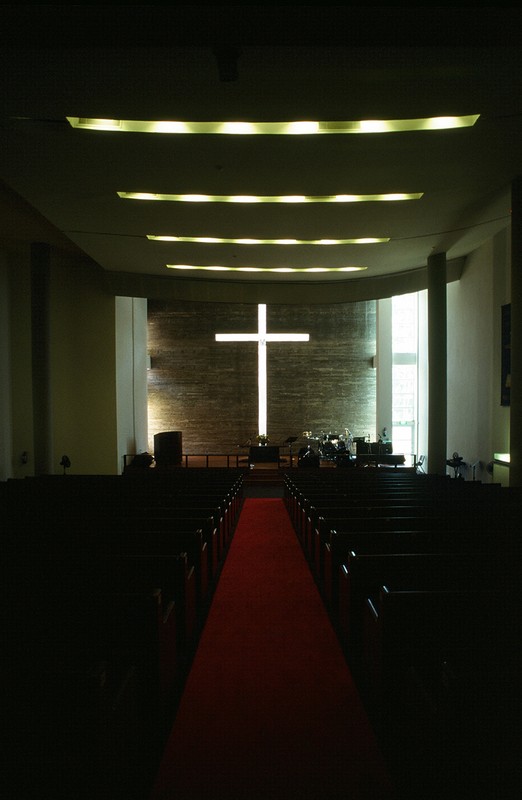 The brutalist structure consists of two five-storey horizontal blocks of unequal length which are connected by bridge floors. 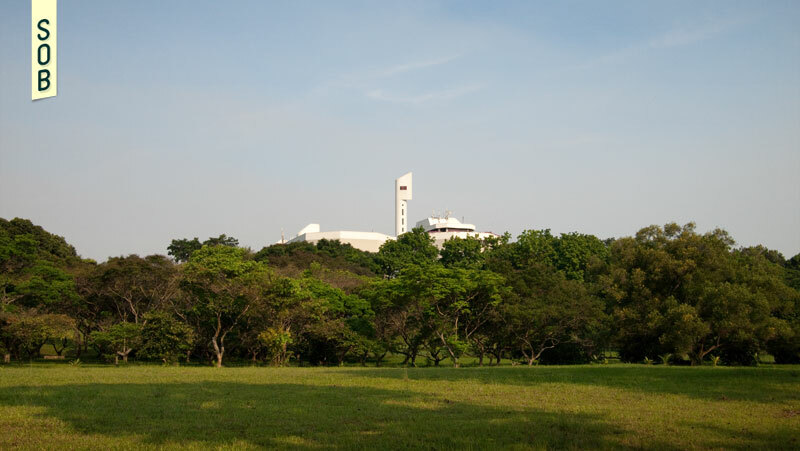 Its strategic siting atop a slope in the heart of Jurong Town enables it to overlook the entire estate, with its crown, a 58-metre tall clock tower (then considered to be one of the biggest digital clocks in Southeast Asia), displaying the time for all workers and residents to see. The clock tower is rumoured to have been inspired by the work of Japanese American artist and landscape architect, Mr Isamu Noguchi. The building's splayed walls further emphasize and articulate a sense of supremacy, as visitors approach the structure constantly looking up at it. 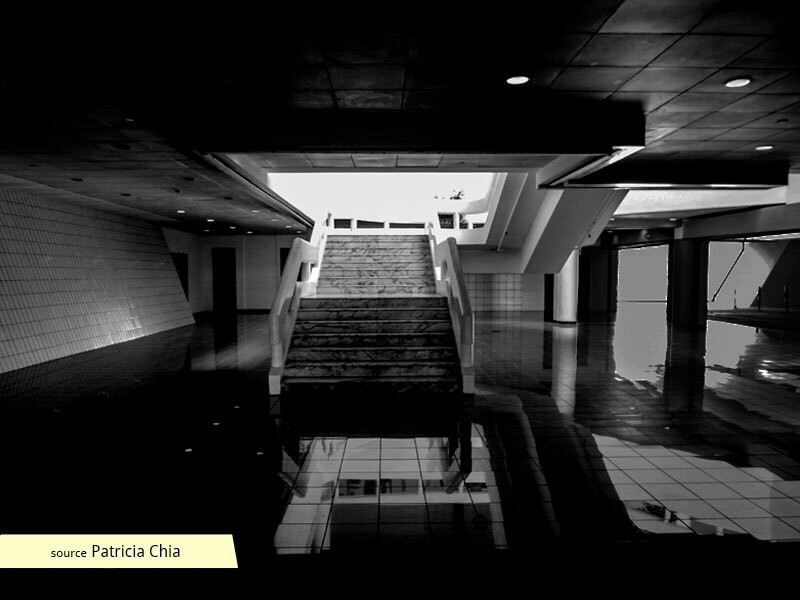 Jurong Town Hall was host to many visits and functions that were fitting of its commanding presence. 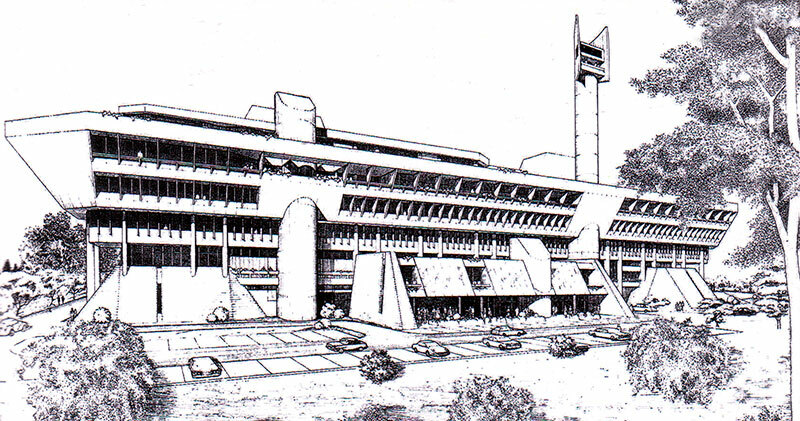 Its initial design boasted facilities such as a 1000-seater conference hall, a 110-seater theatrette, a restaurant, a canteen for JTC staff, a car park, and a penthouse. Archived images show then Minister for National Development, Mr Teh Cheang Wan, briefing President Dr Benjamin Sheares on Jurong Town, in a room with a magnificent view overlooking the estate. Foreign delegates such as the Deputy Foreign Minister of the Union of Soviet Socialist Republics are also known to have visited the hall for similar tours and briefings. The Anglo-Chinese Junior College Pre-U Seminar, aimed at grooming the nation's next generation of leaders, was also held there in 1978. On 23 February 1974, the Jurong Town Corporation Time Capsule was buried at its premises; the ceremony was officiated by then Minister for Finance, Mr Hon Sui Sen. 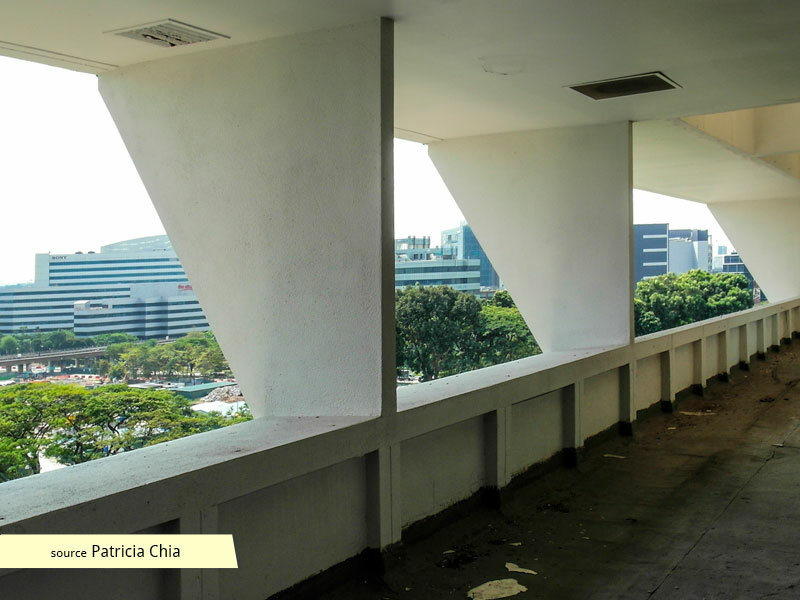 Given conservation status by URA in 2005, the building continues to be owned by JTC and is now home to iHUB -- a collection of office spaces offered to start-up companies that have been in operation for less than 3 years. It was gazetted as a national monument in 2015.